Thrive Content Builder is a plugin for WordPress that allows you to quickly build stunning content layouts with true click-to-edit and drag and drop simplicity. 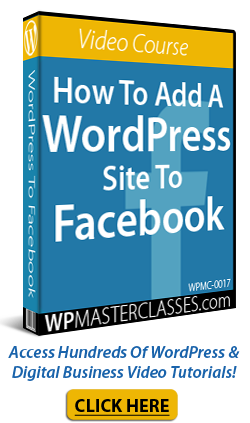 WordPress has evolved from being just a simple blogging application to a tool that is now being used to design all types of web pages – landing pages, portfolio pages, local business pages, etc. Whatever you can think of, somewhere around the world someone is bound to be already building it using WordPress! In this article you will discover the most intuitive visual content editor for WordPress. Does The Default WordPress Content Editor Meet All Of Your Content Creation And Editing Needs? 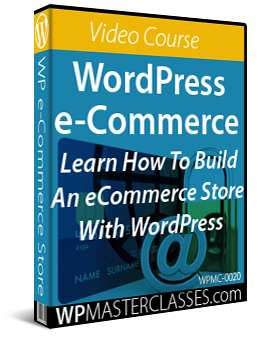 With all the many advancements that the WordPress platform has undergone in recent years, many WordPress developers and users believe that using the default WordPress editor to create or edit complex page layouts can sometimes be quite challenging. Normally, this is not really an issue … until you decide to edit some part of the layout (for example, move some of the content from box 3 into box 2, or change the button in box 1 from green to orange. Then, you’re stuck having to mess around with code inside the editor. Even though WordPress is the most user-friendly CMS platform available, this makes it hard for non-technical website owners to fully manage their own content. 1) Speed – How long does it take to create a web page using this editor? 2) Abstraction – How closely does the content in the ”back end” resemble the content in the “front end” when you are creating or editing a page? As you can see from the above image, what you see in the editor doesn’t look anything like what you see in the front end. This means that users have to abstract what the content will look like when working with sophisticated layouts. Other solutions require multiple steps before you can begin configuring your page layout, or endlessly going back and forth between tabs and performing tweaks and updates to see how your content is progressing, which can interrupt the creative process, as you wait for for your updated content to refresh. If you want your web content to look “just right” quickly, this can start to become very frustrating after a while. If there were no technical constraints, how would you like to build and edit your pages? You look at your content and if you spot something that needs to be changed, simply click on the content and start writing. Your content is instantly changed. You can drag and drop items on the page, and the page looks exactly as it will appear on the front end without having to mentally translate any shortcodes or HTML. You have an idea for a specific piece of content that you would like to add, so you simply begin typing, and you build your page as you go, without delays, no switching of tab browsers, and without waiting for new web content to resave and reload. Would that not be the ideal way to build content for your web site? Just click-to-edit and drag and drop elements around your posts and pages? Thrive Content Builder is a truly intuitive WordPress click-to-edit drag and drop content builder plugin. The Thrive Content Builder plugin provides WordPress users with a new and exciting way to speed up the process of adding great content to WordPress web sites. The Thrive Content And Landing Page Builder plugin is actually a combination of the Thrive Content Builder and Thrive Landing Pages plugins rolled into one, plus an additional plugin feature called Thrive Lightbox. Let’s review all of the above plugins and how these exciting features work seamlessly together to help you easily transform and improve your website and create amazing marketing pages and content. Thrive Landing Pages and Content Builder is simple, easy to use, and ideal for all WordPress users at all levels. In fact, working on content with the plugin installed is so amazingly simple, that the developers guarantee that once you start using it, you’ll never look back! The integrated Thrive Content Builder and Landing Pages plugin was created by the same team that developed Thrive Leads, another amazing plugin for WordPress that we have previously reviewed on this site. Fast And Simple To Install And Set Up. Ready To Use In No Time. Thrive Content Builder installs just like every plugin. Simply upload the plugin file to your Plugins folder via your WordPress dashboard and activate. Thrive Content Builder is simple and intuitive to use and lets you build content in real-time. With Thrive Content Builder installed, what you see as you work within the editor – fonts, elements, layouts, etc. is exactly what your visitors will see in the front end of your site. Add Eye-Catching Layouts With Drag And Drop Ease: Create any layout you can imagine with intuitive drag-and-drop functionality. Add Customizable Elements Without Shortcodes: With Thrive Content Builder you not only get an exciting and easy-to-use click-to-edit WordPress content builder, but the plugin also includes an impressive collection of functional and attractive design elements that you can customizable and insert into your layouts without using short codes, for e.g. : flat design elements, gradient boxes, testimonials, Google Map embeds, etc. Ideal For Non-Technical Users: Not having to constantly switch tabs as you tweak your content and then wait for your updated content to load frees up your attention and allows you to be more focused while you build content or click through multiple steps to get what you want done. Drag And Drop Multi-Style Elements Menu: The plugin makes a “drag and drop” list of elements available on your post or page screen for creating or editing content. Conversion-Boosting Elements: The plugin includes various eye-catching and customizable elements that will help increase the effectiveness of your sales pages, including buttons and call-to-action elements, testimonials, and guarantee forms. In addition to being customizable, multiple design options are also available for various elements. Responsive Element Design: Add mobile-friendly columns, text boxes, content section dividers, e.g. which will display great on different screens. Add Animation Events To Web Pages: Thrive Content Builder’s Event Manager feature lets you insert animation in images, trigger lightboxes and more! Landing page template sets are templates that work together logically and use the same conversion-optimized design language to take your visitors from signup to purchase, product download and more. There are over thirty templates available, with more templates being worked on. In addition to the templates that are currently available, expect to see new templates in the future for email lead generation, sales pages, course pages, personal branding pages, webinar pages and more. Normally, to be able to have a fully customizable landing page template, you would need to either pay a web site developer to do the work, or learn how to code web pages and figure out what to do yourself. Edit text in any bullet point, headline, button, etc. Change the color of text, buttons, links, etc. Use pre-designed, customized pages, or create your own web pages from scratch and save them as new web page templates. An “event” consists of a trigger and an action. You can make an opt-in form appear when when visitors click or hover their mouse over a button or graphic elements, or when someone scrolls down to a certain point on the page. You can also use the Event Manager to animate images on your web pages, using various effects (e.g. zoom in, slide in from top to bottom, rotate, etc. A lightbox and event is created automatically for your landing pages, but you also have complete control over the events, triggers and design. Thrive Content Builder works with any WordPress theme, not just with Thrive Landing Pages. You cannot use Thrive Content Builder to edit content that was not created with the plugin. You can add WordPress shortcodes inside the Content Builder or Landing Pages plugin and they will display correctly on the front end. Thrive Lightbox works with any content you build using Thrive Content Builder. Thrive Landing Pages and Content Builder provides free updates, new landing templates and upcoming features. The plugin developers are constantly working on adding new features and improving existing ones. Thrive products are well-supported, and users get lifetime software upgrades, and 1 year unlimited support with their purchase, backed by a no-risk, 30 day, 100% money-back guarantee. 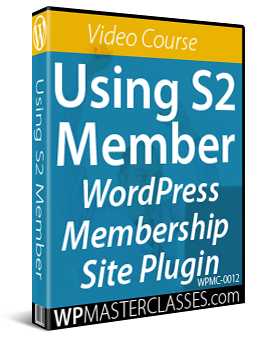 This is an exciting product for WordPress users that will just keep getting better. Single Site License – This lets you configure the plugin on a single web site. Pricing includes full feature set, unlimited updates and 1 year of unlimited support. Price = $59.00. Unlimited Sites Licensing – This option lets you configure the plugin on all of your personal websites. Pricing includes full feature set, unlimited updates and one year of unlimited support. Cost = $87.00. Agency Licensing – Use on all your web sites & on client domains. Includes access to Thrive Content Builder, plus all Thrive Themes & Thrive Plugins. Cost = $247.00 per year. Note: The cost of purchasing the Thrive Content Builder plugin can vary, depending on whether there are any promotions or limited-time specials being offered. The above reflects the price when this review was published. This may or may not be the actual price set by the software developer when you visit the plugin website and you may be shown additional upsells or one-time offers after purchasing. On the one hand, you have the time-saving benefits of ready-made web page elements and template sets that help make designing your pages faster, and on the other hand, you have 100% control over your design process and the ability to edit and customize everything on your page, using the plugin’s visual content editor, which allows you to get things done without having to go through multiple steps. For a demo video showing how the software works, including installation instructions and tutorials, FAQs, customer help desk, contact details and more, visit the Thrive website. If you want to edit something, you just click on the element and start editing. If you want to change something, do it, and you can see the change happen immediately. If you want to move something, just drag it and drop it into its new position. There are no extra steps involved. If you want to transform and improve your web site and create amazing sales pages, streamlined landing pages and engaging content, Thrive Content Builder delivers an incredible conversion-boosting package with a single, inexpensive plugin. 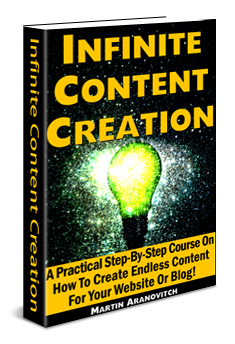 Originally published as Thrive Content Builder Plugin For WordPress.